Greenpeace activists push for Samsung to recycle its recalled Galaxy Note 7 phones in front of the company's Suwon, South Korea headquarters. Seoul, 14 June 2018 – Samsung Electronics officially announced today its plan to commit to 100% renewable energy in the United States, Europe and China by 2020. 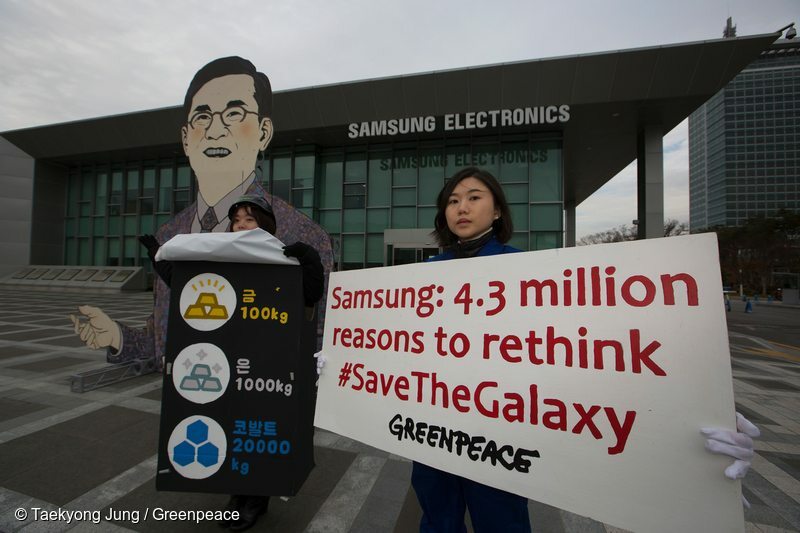 This major commitment – the first by an electronics manufacturing company in Asia – comes after a year of campaigning and global protests calling on Samsung to urgently set a clear renewable energy goal for its own operations as well as its supply chain. Install onsite solar and geothermal energy facilities in Gyeonggi province, South Korea where Samsung’s key semiconductor factories are located. Samsung has the largest smartphone market share globally and is one of the main suppliers of key components to other major tech brands, with 38 production sites and more than 2,000 suppliers across the world. Renewable energy currently accounts for only 1 percent of Samsung Electronics’ total energy consumption, which amounted to 16,000GWh in 2016. Greenpeace has been campaigning on Samsung Electronics to show its leadership and commit to 100% renewable energy, following other major IT brands like Apple which committed to renewables in 2012. 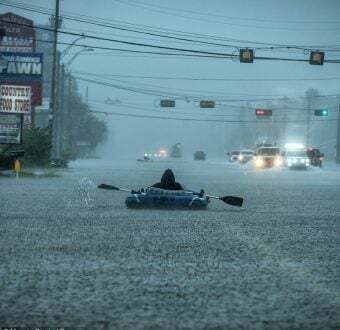 Since December 2017, activists called out Samsung to “Stop Fueling Climate Change” through a series of actions in Seoul, London, Berlin, New York and Taipei, aimed at challenging the tech giant to take immediate action and publicly commit to 100% renewables. Samsung press statement can be found here. Details on Samsung’s performance on renewable energy can be found in Greenpeace USA’s latest Guide to Greener Electronics, available here. More info on CDP’s supply chain program can be found here. Photos and video can be accessed here.